We are happy to bring you the latest improvements to our Primary and Secondary Market requested by our investors. On our Primary Market investors can hand-pick loans and make manual investments. It consists of loan applications that are available for investors to invest in during the auction. A successful auction results in the loan being funded and the investor gets part of the loan. 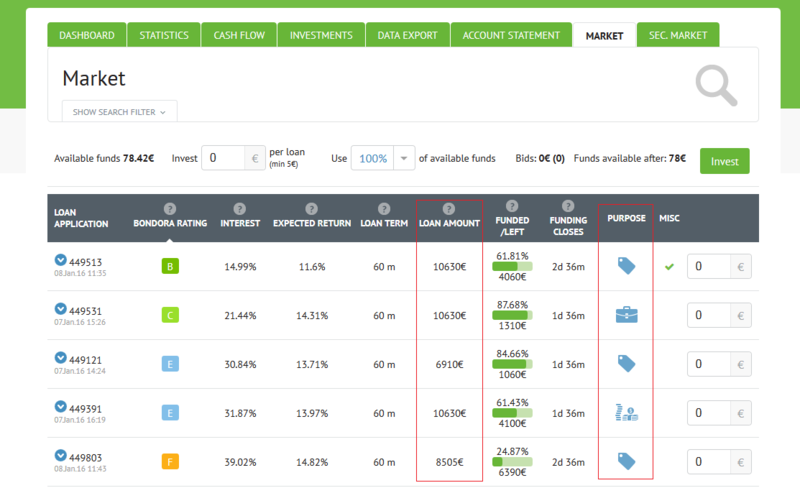 The “LOAN AMOUNT” and “PURPOSE” columns have now been added to the Primary Market page. The “PURPOSE” column shows the reason why the borrower is borrowing money (for ex. travelling, education, business). When you open auction details from the “LOAN APPLICATION” column you will now see the entire sub section on one page that previously was spread around across multiple pages. We also removed some of the less used features, such as bids made by other investors. In conclusion, the navigation on the Primary Market is much more convenient now – it’s faster and more compact. Our Secondary Market is a marketplace between investors where they can sell or buy a share of the loan with discount or mark-up. It consists of different shares of loans the investors are trying to sell and it enables to liquidate investments. 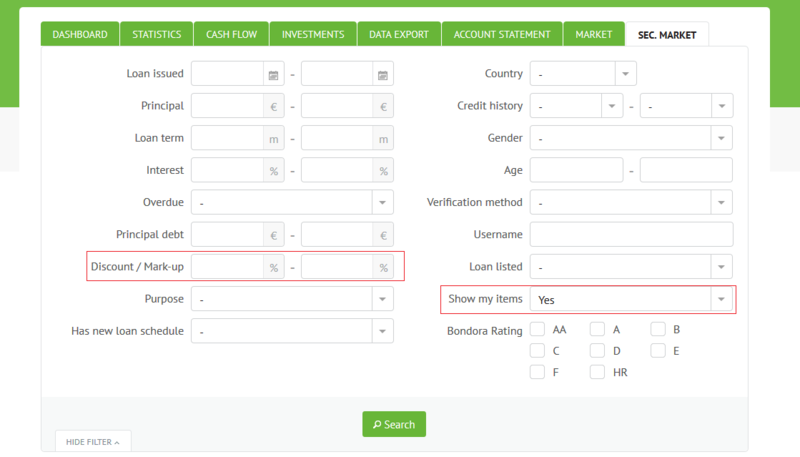 This allows you to search for the loans that you have listed on the Secondary Market. This allows you to search for the loans within specified discount / mark-up range. Also the speed of the page has been dramatically improved – now it loads under 1 second. I did notice significant speed improvement in the secondary market page. Cheers! That’s the way to do it.